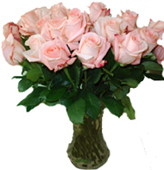 Articles on various topics, connected with life events, shopping in Russia, dating, flowers and gifts traditions. Safety first or who is responsible? Are those Russians crazy or just different? Lets sort it out. There are a lot of scammers on the net. What is the solution? Actually you may relax and start search somewhere nearer to your house. No need to worry or doubt or being anxious. Is this the decision you take? Ok, then this article is not exactly of your highest interest. This could be true if you are sleeping. Now get up and face the reality. Dating online is just the same lottery as we have here in real life. Don't be confused with the number of shining faces popping out of the screen while browsing profiles. This definitely means NOTHING. There is still no guarantee that you'll be lucky enough to find your exact match. Judging the amount of people applying to dating services and club, I can swear that they believe that their chances rise up to the sky. Getting down to earth I'm not that optimistic though I have to admit the chances slightly rise. Ok, whatever we should do if we can't do anything about that, lets go on and date online! Who we are, men involved into that desperate dating procedure? Mostly we are romantics and this gives us either chance to be distinctive from the rest men's world. (Romantic men are mostly dinosaurs in real life) Or opens vulnerable sides that are easy to approach. We can remain innocent being scammed several times, take time to recover and step again fighting the fate. Romantic origin and (should we have hidden that) the lust towards the long-legged, blue eyed, sincere, family oriented creatures gives a unique scamming opportunities. No need to investigate the essences and consequences. - Don't expect anything from your partner and don't try to frame her into a certain dream standards. Believe me that the real person you are going to meet at the destination airport is much more interesting than ever of your dreams. flowers are good for special events and occasions nothing to say that meanness is the worst men's quality after the cowardice and stupidity. - Doubt her, starting point is that you don't know her and her expectations. She may force herself but life brings everything to initial places. Unless you want to discover true disappointment in her eyes when she meet you personally. - Be careful with her feeling though don't forget yours. Suspect her, but do that secretly - don't show that you are jealous or suspicious. Give her time to show up. You'll see what she wants and expects. - Be demanding - this is ok if you're focused positively. - Don't judge hastily - remember you've never seen her and you are separated by kilometers. Maybe she is tired, maybe she's upset and doesn't want to share that. Women are special creatures that we never understand. So, give her time - show how patient you can be at times! - just leave this as it is unless it happens regularly. So, she appreciates your self-confidence. - Make investments into future relationships - evening/morning SMS are fine, shot calls for letting know that you think of her - great! - Forget that you don't want to talk much - reveal your colloquial talents. This is solely the pure source you can implement while dating online. Tell about your feelings, maybe plants for today's evening, etc - just realize that she can't feel that just looking into your eyes. - If this is suspicious online, believe me - this is worth being suspicious. Don't be blind. This will lead you to the deep disappointment. Leave the idea of justifying her deeds, words etc - leave that as it is and time will show. Don't be active in revealing the truth otherwise you'll be absorbed with destructive emotions. Just leave it to her actions. To summarize everything said above, keep your eyes open, don't mix up real interest with the intention of gain benefits from you, be suspicious all the time until you bring her on fiancee visa, be enthusiastic and interesting. Russian character as any other has been modified and formed by many historical and geographical peculiarities. Actually, history may tell and explain much. Unfortunately not many of us know it. Centuries of constant wars, internal struggles have forced the character of the Russians and put the essence of their strange patriotism. Severe weather conditions were the reasons for working and living together to protect from natural disasters. Fairy tails can tell much about each nation. If you look through the tails of the Russians you'll see that the main hero is Ivan-durak - an unremarkable person doing silly things with no sense (at a first glance) His main power is in the lack of practice and pragmatism. This is a certain national hero who is sincere and very simple. He is pitiful, wordless. One of the most remarkable qualities of the Russians is their being very sociable. For centuries the Russians peasants lived in a community that functioned as a support for the poor and didnвЂ™t let the strongest get higher position than their neighbors. So, as you may see this system worked long before the Socialism was revolutionary established in Russia. Under these conditions the mutual support principle dominated the natural survival instinct. The feeling of collectivism let the Russians interfere into other peopleвЂ™s privacy. Foreigners living in Russia can't help being surprised by the same situation. When they get out for a walk with a kid without a cap on in a cold weather they will be blamed by everyone in the street for the irresponsible attitude towards their kid's health. To give some advice in the street is a regular thing for Moscow. The remarkable quality of any Russian person is his patriotic feelings. It maybe a hidden, quiet, shy form of patriotism. The Russians are very critical and demanding to themselves. But you should not forget that it's just the other side of honesty and self- esteem. You should not take words like: "No one can live in this country" for simple. The Russians are often blaming life (there are a lot of reasons for that) but they won't bear same critics from any foreigner. There is a very complicated attitude towards laws and rules in Russia. Some time ago I was walking in a park in a very crowded district of Moscow. I noticed many tables that prohibited walking with pets in the park. But under those signs there were not even tens but thousands of dogs walking. And this was natural because there is no other place there (in the district) to walk. So, those tables were senseless and even impracticable. If you are aware of this attitude of Russians towards laws and rules, you won't be surprised with the students smoking near the table "No smoking" This is a very important thing to know. For example, note that it's not customary here to let passersby go on zebra crossing. So, be careful! People are very informal to each other here in Russia and many people treasure friendship. Be prepared to get a detailed report on your question "how are you?" A formality of foreigners sometimes offends the Russians. Many foreigners can't help being surprised with the sincerity of the Russians when they talk about private life. So, don't get surprised when unknown people in a train will tell you their whole life story. An American traveler in the 19th century wrote: " the Russians on a trip are very talkative. They are as curious as the Scottish - they are so sincere sharing their private and intimate things and thatвЂ™s even confusing"
In spite of many years of official atheism, religion plays a very important role in lives of many Russians. The dominative is Orthodox Christianity. People are standing in the church, sometimes for many hours. When entering the church, men should take off their hats, women on the contrary should put on a scarf. It's not customary here to go to the church in bridges, shorts or open dress. Some churches do not let women dressed in pants enter the church. But of course now the official church has become more loyal. If you want to ask the Saint about anything, you should buy a candle and put it to the icon. Of course you can't speak loudly in a church, make photos, video and stare at other people. Read and know more about the Russians, their traditions, and peculiarities of character, history, religion, habits, customs, and national character. Be informed traveling to Russia, know more about the Russian character, laws, peoples behavior, life, modern realias. This complicated attitude towards money is still preserved in Russia. consult the Russian person before giving the bribe. is much more important than the money itself. Difference. Both options have it's problems and positive sides. shyness, no wish to make efforts. make happy practically anyone if he/she has a zeal. - to let the person be who he truly is without your violated perception. person again are the winners and the luckiest from us. comparison to other Western countries. the hospital etc - but do not regard this as a bribe or your boon. and very important to you. the points that nobody's emphasized. for choosy customers even for difficult destinations. inconcrete because they work on terms suggested by others. send something new if you are a regular customer. 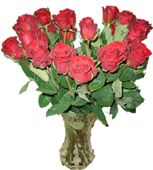 Don't be scared to order different than roses arrangement. 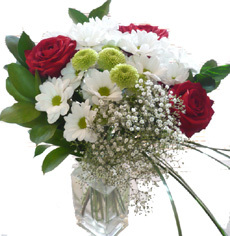 colour and the roses supplier - for example Dutch or Ecuador"
5 Same day delivery propaganda. twice more than we suggest. 6 Scammers, scammer, fraud, guarantees? as we can be of any help. Trust is a valuable thing. 7 Targeting and healthy environment! feelings, emotions or intentions invested. found it fair as there is little information on that topic. Russian men" :-) heh, I knew that I would get zero answer. So, finding myself in the same starting place, I referred to the mother-history. Believe me, being an all-women-are-always-right point defender, I'm not really attavhed to the idea to be unbiased, just want to draw a many-sided picture of the human being - Russian man. selfish, childish, inaccurate..." Much more to be added, believe me. Yes, yes, yes, there are a lot of men who drink much in Russia. Some of them drink because they are alcoholics, some because they lost themselves and as a consequence lost their self-confidence, some drink much in comparison to a typical European man just because they were not taught how to drink and enjoy drinks (that may not effect their social status or whatever) This is just because of the lack of the "enjoy-small drinking" culture. Many find relaxation in drinking...what can we do? - suggest some alternative ways of relaxation...but we are not talking about "how to rebuild" :-) right? this is "how it is"
more time to get some more money to feel financially secure. 5 "they are down to earth, not romantic, most of times indifferent" - yes, like the rest of the men's world :-) so what? 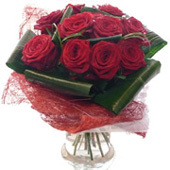 if you are romantic he is able to share what is the romance to you. 7 "they are rude" - yes, (see above about the bad social update and adaptation :-) but they are learning how to get rid of the years of the rude social behavior when people were ready to kill each other in the queue for the goods at every shop. 9 "they are hard hearted" - right, when they see a dog with the broken leg they would hardly take it home. But if this dog is theirs - things change. So, the question is whether this thing or a person or whatever belongs to them (as the possessive feeling is very strong) if the response is - yes - then they will move the rocks to get this thing back, or save it etc. Heh, too long opus вЂ¦.Just to take a brief summary"вЂ¦. I'd prefer to be distinctive. So, there is a huge chance that your man is distinctive or want to be distinctive perfecting himself, developing himself and will be represented as not a typical Russian man but yours only. BTW if you have an idea of how you can describe the US men, send me your thoughts, I'd be pleased to publish them at my sites. been fantastic since the World war II up to the dawn of the Soviet Union in the beginning of 90ies. shapka-ushanka. That's why you can hardy meet a person in a large city wearing it now with the exception for maybe military men or orthodox. About the military …Since 1940 ushanka has become a part of the uniform of Russian army and militsia (police) Picking out the fact that the half of Russian male population are either military or "menty" (cops) and practically all of the male population serve in the army at the age of 18 (we have an obligatory conscription) the benefits and advantages of shapka - ushanka were tested and highly estimated. So, shall we consider the hat that has become an concurrent part of the stereotype image of the Russian man (e.g. in Hollywood, on caricatures, etc) and that is called simply "shapka" in English. ears" could be untied and turned down with the nape flap (the back of the head part) to save real ears from frost and wind, partially cheeks, chin of the person wearing "ushanka". If we dig down the "ushanka" descending history we shall see that it comes from the Baltic (I would add) Finnish hats, that already had ears and the tapes added for tying up in XIX century. The fashion for the round crowned hats first appeared among the St Petersburg working class then was spread across Russia. it in front of oneself on the table. So, everybody could see it. It was the sign of prosperity. If one didn't possess such a mink hat in province the waiter at the restaurant tried to pass you by :-) The owner of the mink hat never lowered "ears" of the hat even in the sever frosts but pulled his hat over his eyes more deeply. Russian military. Quick look at Russian army. The author of this story used to be close to the army, in other words saw everything with his own eyes and felt with his hands if I can say so :-) What a foreigner usually calls Russian military and what we proudly call Russian Army…? The written below is just a personal view or an opinion and doesn’t pretend to be taken as a gospel. What does the Russian military look like? Shortly and simply, it consists of naval forces, land forces, air-force and space forces. You may guess the “prescription” of each from the name, maybe with the only exception for the space forces. You should apply to Mr Lucas (Hollywood) in case of the space war. Naval forces consist of ships and submarines. Air-forces consist of bomber force and fighters (there is also the transport aircraft) Land forces are: infantry, artillery, telecommunication, sappers and others. Frontier troops and internal forces are under the MVD and FSB jurisdiction and fulfill specific tasks that won’t be covered or spoken about in this article. The modern Russian army was formed in 20ies of the previous century, after the Revolution in 1917 and the ruling party – the communists – spent a lot of efforts to form the idea content of the soviet army. The general liability for military service was declared. All young men at the age of 18 and had no health problems was obliged to serve in the army. Speaking the elevated language of ideologists “holy and honorable duty” , at least posters with such content decorated all of the military units. The author is trying to avoid accurately all negative sides and sharp angles and won’t draw any conclusions. Take it simple as just a mere narration. Using the rubber stamp, the Russian military is the reflection of the society with all the follow ups. For those who are interested I’d recommend to read the book written by Anna Politkovskaya - “Putin’s Russia” and find what he is searching in the first part of the book. This book was already translated into most languages. So, what the Russian army starts with for a young man? With the prescribed YSC – the young soldier’s course which lasts about a month when you are taught a new view to most things in life and when officers knock the nonsense out of your head. After the course you are given the arm (usually the souvenir from Mr Kalashnikov) and attested. Military oath! Such a bright and responsible day! On this day you sign your death sentence in case you quisle (betray your Motherland) and of course you are given a day off (in spite of all maybe faults) All of the relatives come with the huge bags loaded with food to see the recruits and congratulate them on that festive day. In St Petersburg, for example, the recruits of some military colleges take the oath on the field of Mars. This is the scene – I should confess. You’d remember this for the rest of life. The Russian army – as the rest of military forces on this earth – has officership and the ranks, may the praporshiks and warrant officers forgive me! The backbone of the Russian army is carved out in special military colleges and institutes of the Military ministry. Since 70ies of the previous century almost of the colleges became institutes and universities and provide high civil education along with the military. I should say that there was huge number of such institutes across USSR. However there were (and still are) actual reasons for that, firstly connected with the large country area and its geopolitical situation. I should mention that military institutes were really good at preparing commander’s specialists who become really experienced after the first year of service being constantly on guard and duties. Russian military couldn’t be regarded without taking into account the geographical position. The huge area of the former USSR lasts from the Polar circle to subtropics. The military forces are supplied with arms and weapons that could be used in all temperatures (up to 50 degrees C above/below zero) and with the uniform that could be used during the operations in gusts of northern lights. Usually the desire of the recruit of where to serve is not taken into account by the military superiors. So, the young man could be sent to the mountains of Pamir, sands of Karakum, Far east Islands and the battle readiness should be at the top level in all climate conditions and calamities. The Russian army is international. Most recruits don’t know Russian language, are bad-educated and not well-developed physically. Here the military service takes active part in the development of the personality :-) A young man from a far mountain village can acquire a civil profession, get good education, sometimes even have good nourishment and finally at the end of the service become a well-educated and well-developed young person. The Russian army has both simple and reliable and complex equipment, such as Kalashnikov and Topol missile. The author won’t pay much attention to that aspect and speak about the 5th generation planes, nuclear submarines and intercontinental missiles. There is a lot of information about Russian arms that is also exported to other countries. I’m absolutely confident that Russia has a lot of talented people working in Tula, Ural and Moscow engineering departments who can follow the tradition and won’t compromise the name of Russian armourers.